Minister for Transport, Tourism & Sport Leo Varadkar has welcomed strong growth in the number of overseas visitors and those coming to Ireland for holiday purposes in the first three months of the year, as revealed in today’s CSO figures. “2014 looks set to be the fourth year of consecutive growth in overseas visitor numbers according to these figures. Since the Government came to office, the number of international visitors coming to Ireland has increased by more than a million per annum and is almost certain to exceed 7 million this year. 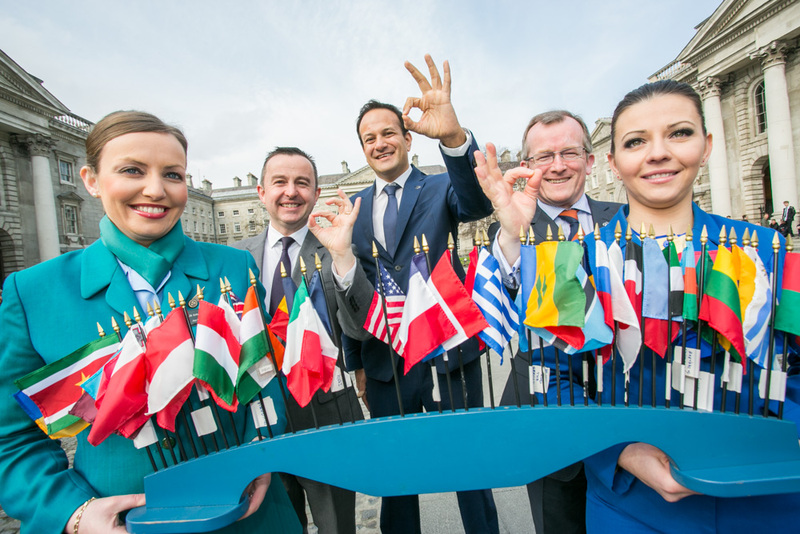 Clever overseas marketing, more air access, good value, a great tourism offering and Government support are all making a real difference,” Minister Varadkar said. The CSO tourism & travel statistics show that the number of trips to Ireland in the key target market of holidaymakers rose by 7.5% in the first quarter of 2014, when compared with the same period in 2013. Although spending by overseas visitors remained more or less flat when compared to 2013, this may reflect the fact that Easter fell in the second quarter of 2014 and the first quarter of 2013. “The Government recognised early on that tourism could play a key part in economic recovery and moved quickly to get the sector back on its feet with targeted initiatives like the 9% VAT rate. While it was always going to be challenging to match the excellent performance in 2013 from The Gathering, we have actually managed to further grow the number of visitors this year,” Minister Varadkar added. • Total number of visits from “Other” long-haul markets grew by 17.4%. The figures are based on detailed surveys of overseas visitors and contain detailed information on expenditure, purpose of visit, and bednights. “This year, we are placing a major focus on promoting the Wild Atlantic Way, the Causeway Coastal Route and Titanic as well as on major events like Limerick City of Culture and the Croke Park Classic. We will also build on the legacy of the Gathering, continuing to reach out to the Diaspora across the world,” Mr Gibbons said.